What’s in Store for Buyers and Sellers Over the Next Few Years? If you’re in the property market, as an investor or as a homeowner (or a hopeful), it’s important to stay abreast of the news and developments – everything from interest rate changes to government initiatives for first-timers. Property portal RightMove has been trialling virtual reality (VR) selling, which will enable house-hunters to view properties from their own sofas! These tours are available through RightMove’s YouTube channel and people can view them by using a smartphone and a Google Cardboard headset. At present the tours feature footage of a new housing development in Finchley and a multi-million pound mansion. Many estate agents are already using some VR services to help house-hunters, so we can expect this facility to grow in availability and complexity. Brexit notwithstanding, it seems that the turmoil of recent months hasn’t really affected the nation’s house prices, although it remains to be seen what the long-term effects will be. The nation’s average house price is around £205,000 and this is set to rise at roughly the same rate as it has done in recent years. Many people predicted a house price crash after a Leave vote, but it seems that the fall in the value of the pound has encouraged foreign investors and discouraged UK-based buyers looking to buy overseas. If Brexit does happen, it won’t be before 2019 at the earliest, so we can expect stable house prices until then, at least. The government has promised to build a million new homes by 2020, but it might fall somewhat short of that target. Even so, the big six construction firms will be doubling their production rates from what they were six years ago. 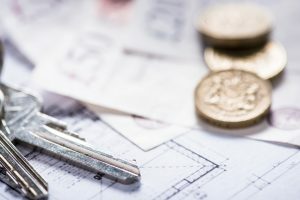 Streamlined council planning and funding processes will be a key factor in this building drive, as they’ll mean houses are planned and built faster. It’s already happening, as builders completed 139,690 new houses in England in 2015-16, which, while missing the 250,000 target, was still the highest number of new properties since 2008-09.